"This Ain't No Disco... It Ain't No Country Club Either..."
So with Easter almost over, it’s time to get back on the road! I’m looking forward to going to LA this week. I’m speaking at the Worldwide Radio Summit, which a new conference that is jointly put together by A&R Worldwide and the great US radio / music information portal that is ‘All Access’. 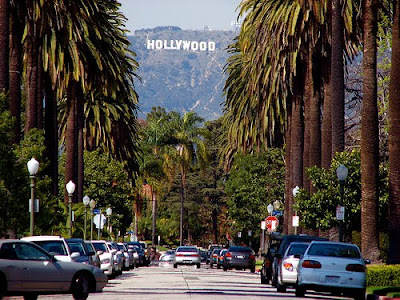 There’s a good few Brits heading out to LA, so I’ll be in good company, along with some great US speakers, including the ubiquitous Mark Ramsey, Jeff Pollack, Fred Jacobs, Ken Benson, Alan Burns, Valerie Geller, and Rick Dees. Yes... that one, who’s taking part in a session about on-air talent development. Should be good! Meanwhile, if you’re coming along to the conference... come and say hello! and of course if you're holidaying anywhere near the ‘W Hollywood’ later this week... do stop by! Listening to music radio is a great way of indulging your passion for a particular genre of music, whilst perhaps learning something about it along the way. The best music radio presenters are ones who share their passion with you, and take you on a musical journey every time they take to the airwaves. In the UK, the über-daddy of this was the late, great John Peel, who guided many a ‘new music’ fan through the exciting new sounds and movements he discovered along the many years of broadcasting. There has always been a split in terms of the types of radio presenters there are. There are the ones who love music, like Peel, and draw together a merry band of listeners who they want to share their love of music with. Then there are “personalities” whose sole aim is to entertain – they care very little about the music really. And that’s fine... that’s not their job. Then there are the ones who just like to be on the radio... they don’t care much for music either, nor are they particularly entertaining – they just like being on the radio. Not that inspiring really, but there’s still a role for them! I’ve found myself drawn to the first kind again recently; the DJ as curator... a trusted guide... someone I can allow to play me music I know and love, and to surprise me with the occasional song I wasn’t familiar with. And the person whose re-ignited this in me? 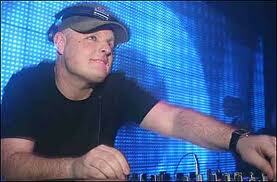 Dance music stalwart, Dave Pearce. BBC Radio 2, a brand not closely associated with dance or club music, has commissioned a 13-part series where Dave is taking us on a journey through the history of dance music. From the early days of disco, through to the birth of house music in Chicago, right the way on to the UK rave scene and Ibiza. Each show is a veritable potpourri of rhythmic styles! First thing to say is that this is exactly the kind of thing the BBC should be doing, so hats off to them for that. Second thing – they’ve got exactly the right person to do it. Dave has been there and done it and witnessed most incarnations of dance music during the last 30 years. So he’s the perfect “trusted guide” to take me through an hour of “choons” every week. But it’s not only playing the records that counts. Any old monkey (or playout system) can do that. It’s the knowledge and context the DJ can bring to the show that really makes it enjoyable. So the little stories, anecdotes and bits of info that are peppered across the show make it a great listen to an unashamed fan of dance music, like me. So if you’re a radio station that has room in your schedule for a late night show that allows a DJ to be the curator, the trusted guide... why not do something similar? The old expression of “Ratings by day, reputation by night” still applies, and your station may gain some new found respect and even generate some more listening off the back of doing something like this. There are loads of ‘listener friendly’ versions you could do, regardless of the format you’re in. And something like this really breaks the monotony of “the format” especially if you have the feeling (or evidence) your listeners are searching for something a bit deeper from your radio station. And in an on-demand world, this is the perfect ‘listen again’ opportunity. (By the way, you can listen to Dave’s fantastic show by typing Dave Pearce into the Radioplayer search engine). I know the ‘DJ as curator’ has never really gone away as a phenomenon, but a show like Dave’s Pearce’s on Radio 2 has reminded me of how great that concept is. They say that the ‘radio presenting bug’ never quite leaves you, and dwells deep within your bloodstream, before eventually breaking out years later, in a virulent case of ‘on-air activity’. Well, I can confirm... that is very true! Absolute 80s is launching a brand new weekend morning show, presented by Dan McGrath and Nik Goodman – Cafe 80s. Cafe 80s will air Saturdays from 9am – 12pm and will be an entertaining and light-hearted show with fun features and the best music that made Absolute 80s famous – this is the land of Human League, U2, Frankie Goes to Hollywood, Simple Minds, Duran Duran, Prince, ABC, Depeche Mode, Blondie and Bon Jovi, with a sprinkle of timeless tunes from artists such as Madonna, Michael Jackson and Culture Club. The show will also feature guests from all walks of life who found fame in the 80s – be they from the world of music, film, TV or sport all with a 2011 take on the 80s. Dan and Nik have over 40 years of radio experience between them – they grew up in the halcyon days of the 1980s and share the same memories, experiences and growing pains, as the station’s audience of reluctant adults. Cafe 80s is Absolute 80s first regular commission and will launch on Saturday 14th May. The commission demonstrates Absolute Radio’s commitment to personality and entertaining, unique content on its family of decade brands. Dan McGrath was part of Chris Evans’ on air team throughout The Big Breakfast, Don’t Forget Your Toothbrush, TFI Friday, Radio 1 and Virgin Radio days. In 2001 he set up his own company (Cannon Studios) to supply music, audio production and presentation for all aspects of media, which (among other things) lead to him writing the theme tunes to a raft of high profile TV shows including Strictly Come Dancing, Friday Night with Jonathan Ross, the ‘Lloyd Webber, BBC Star Search’ series. 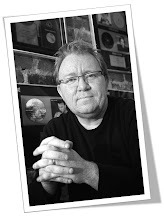 Nik Goodman started his career in radio working alongside the legendary record producer, Pete Waterman, at Radio City in his native Liverpool during the late 1980’s. He has had a successful career in radio which has included drivetime show on Power FM, programme director at Virgin Radio (where he first met Dan), Kiss FM and Capital Radio. In 2006, he founded a creative media consultancy focusing on music, programming, and content development for radio stations and now has clients in the UK, Europe, the Middle East and India. Cafe 80s set to be a show our Absolute 80s nostalgic audience will love! So, the headphones are being dusted off as we speak and I'm really looking forward to presenting this new show. Dan and I will get to play some fantastic 80s music on a Saturday morning, speak to some fun people from that era, and have a bit of a laugh on the radio. What could be better? I'm already getting through lots of song suggestions and ideas for the show from my 30-50 year old friends! And the more people I introduce the station to, the more people tell me they love it. I'd like to say "Saturday mornings will never be the same again"... but that's not true. They will be. They'll just have 2 guys who love playing songs from the 80s on the radio. So stop by and have a coffee! Cafe 80s starts on Saturday 14th May at 09:00. The UK’s new Radioplayer launched last week with a good deal of media attention, and an instant user base of anywhere up to 4 Million in the first week. The UK has a lot of untapped potential with online listening, which currently stands at 3.1% of the total share of digital listening, and 8.8% reach. It could be a lot more, and certainly needs to play its part in increasing the overall share of digital listening in the UK. One of the barriers to developing more online listening has been the difficulty of getting consumers to listen when (or if) they finally arrive at your stations website, and then allowing listeners to then move around from station to station. Frankly, to the average consumer who is used to just pushing a button to change a digital TV channel or a preset on a car radio, it was fairly difficult. Consumers like consistency wherever possible, and up to now, there’s been frankly nothing consistent about the online listening experience. So anything that makes this easier has to be seen as a step in the right direction. Consumers also like simplicity. And having played with Radioplayer for a few days now, it’s pretty simple to use. Search for a station, click on it and you’re listening to it. Search for another station, click on it, and there you are again. The search function is at an early stage, and it will no doubt be developed further, but it’s not a bad start to be honest. I like the ability to search across live, and on-demand content... and if all partner stations are making their on-demand content searchable, then this will make it a very powerful tool for people to find great radio that they perhaps didn’t know existed. I’ve already come across some nice on-demand content by accident, just by playing with the search function. This will no doubt increase the total TSL to radio, both live and on-demand, over time. The search isn’t perfect yet, but I’m sure it will develop over time. I wonder if the secrets of the algorithm will be revealed... and will be there be a new SEO consultant role... “How to get your station on the 1st page of Radioplayer search results”!! The presets function is a really nice touch with ‘iPhone style’ movement of the presets, and although it took me a minute or 2 to actually work out how to add a station. I didn’t quite grasp you have to click on the ‘to my stations’ button after you hover over ‘add’, as I was furiously clicking the ‘+’ to no avail!. It took me no time at all to fill up my 15 presets. OK – I’m quite a heavy consumer as you’d expect! As I own a few different laptops / desktops, it’s a little frustrating I can’t ‘port’ my presets from one device to another and had to go about recreating them all again on 3 computers. Admittedly, I may use a few more devices than the average consumer, but ‘Radioplayer Tech People’ – (I hope you're taking notes!)... you should take a look at how you could do that without having to create a registration function, which would obviously take away from the pure simplicity of it all. It’s nice to see how different broadcasters are using the ‘space’ below the player part for their own ends. All have a slightly different approach, but 'tips of the hat' go to GMG for having some nice sponsor links and an easy to navigate splash box, the BBC for allowing me to dig deeper in to the BBC’s content with ‘More Episodes’, and a smart move by Absolute for allowing me to select any station within their portfolio without seemingly having to ‘switch’ station via the Radioplayer dashboard. Therefore I can just have one Absolute Radio preset, and navigate to say ‘Absolute 80s’ with veritable ease. The potential of the broadcaster ‘space’ below the dashboard is something quite exciting, and I’m certain we’ll see some neat innovation in the months ahead. There are a few minor bugs which I guess will be sorted out soon... for example in Chrome, when I go to a BBC station, the window resizes itself slightly too small so scroll bars appear, and I have to manually resize it to make it look lovely again... but hey... that’s not the end of the world is it, and easily fixed I’m sure. On launch day and over the weekend, I was watching the #radioplayer Twitter feed, and there was lots of positive comments and quite a few negative ones too, which you’d expect. One of the reoccurring negative ones was from a body of (probably quite geeky) people who were suitably underwhelmed by it all, claiming it was nothing new, and bemoaning its simplicity. I think they’re missing the point. It’s meant to be simple. Listening to the radio online shouldn’t be complicated, so let’s not put in a load of fancy features unnecessarily. Just because you CAN do something doesn’t mean you SHOULD do it. I applaud the development team led by the newly Christened “Radio Ninja”, Mike Hill, for not getting carried away. The beauty of something lies in its simplicity... and simplicity is pretty hard to do well! And to those critics who argue that you can already do what Radioplayer does already with a load of other radio aggregator websites - sure you can, but they’re not the default player for the majority of the UK’s radio stations, not controlled by the broadcasters who are creating the content (therefore not particularly interested in enhancing the listener experience with visuals or click-throughs), and having tried a fair few of them in my time, they’re not particularly easy to use either. Plus they don’t allow a listener an easy way to tap into the rich vein of non-linear content that is available via ‘listen again’. The UK radio industry has taken a grown up step by getting the BBC and Commercial Radio to collaborate on this project. Without the BBC, Radioplayer would have still been good, but far less potent. Commercial radio has more to gain from being on the same online listening technology as the BBC, and this is a smart move by the BBC's audio supremo, Tim Davie, showing that they're not on some philsophically driven mission to crush all competition from the commercial sector. A BBC working with, and helping a commercial sector to flourish thus providing strong competition, is a healthy, modern BBC... and this will certainly not go unnoticed in corridors of Westminster. Getting the public and private sectors to work together for the greater good of the industry, setting aside any sort of entrenched rivalries, is a moment to savour, and one that other countries can hopefully draw inspiration from. If you want to see the radio sector continue to thrive in the future in your marketplace, innovations like Radioplayer are essential, and Public / Private partnerships are crucial. So... UK Radio in one place = Good Work!